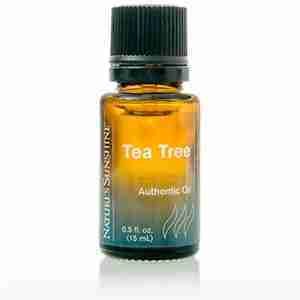 Tea Tree Essential Oil (Melaleuca alternifolia, steam distilled from leaf), 15ml. The antiseptic properties of tea tree oil make it a wonderful support to the body as it battles a countless array of topical maladies. Antibacterial, antiviral, antifungal and antiparasitic. Beneficial for fungal infections, canker sores, periodontal disease, insect bites and stings, burns, acne, eczema, staph infection and yeast infections. Tea Tree Oil [Skin] has been referred to as “the wonder from Down Under.” It comes from the melaleuca tree, which is native to Australia and has long been used by the Aborigines. Legend has it the tree was first introduced to Europeans by Captain Cook, who made tea from the leaves while on a voyage to Australia. The oil is extracted from the tree’s leaves through a special distillation process. The trees do not need to be harvested in order for their oil to be extracted; in fact, some trees have provided oil for over 60 years. Tea tree’s beneficial properties make it a popular ingredient in shampoos, creams, skin cleansers and other external cosmetic applications. 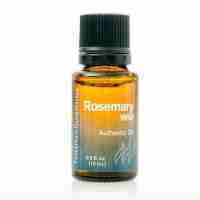 The compounds in tea tree oil benefit the skin and are non-irritating. The oil contains several important compounds, including terpines, cymones, pinines, terpinen-4-ol, sesquiterpenes and sesquiterpene alcohols. Tea tree oil is recommended for external use only in poultices and other skin-cleansing applications.